A launch party for Tusculum alumnus Justin Phillip Reed has been scheduled as part of the upcoming Old Oak Festival. Reed, a 2013 graduate of Tusculum will release his first full-length book, “Indecency” at the event and will be available to sign copies. The book launch is set for 3 p.m. on Saturday, April 21, at the Shulman Center on the Tusculum Greeneville campus and will be part of the many fine arts events scheduled during this year’s Old Oak Festival. The event is free and open to the public. Early release copies of the book will be available at the event as well. After Tusculum, he completed the Master of Fine Arts program in poetry at Washington University in St. Louis. 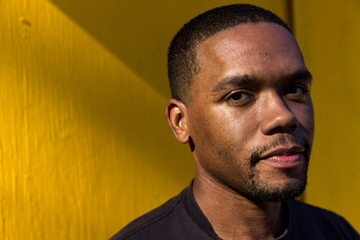 He received fellowships from the Cave Canem Foundation and the Conversation Literary Festival, and currently organizes the St. Louis community-based poetry workshop series Most Folks At Work.